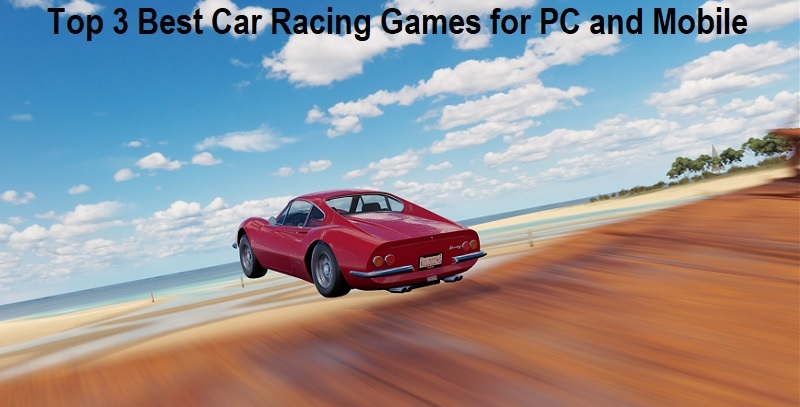 Car Racing Games have been around for quite a few decades, and every year somehow, they manage to bring in new elements that make them even more addicting and impressive. I remember playing Namco’s Pole Position growing up and I just loved speeding through the tracks to get the highest score. From there, we got many great car games, like Star Wars Episode I: Racer, Mario Kart, Need for Speed, Gran Turismo, Hot Wheels games and many more! So, with 2019 coming to an end, I decided to put together a list of this year’s best car racing games for mobile devices. Although I already had a couple of nominees in mind, I decided to do some research so I wouldn’t miss out on any important games. My first pick is none other than Extreme Car Driving Simulator. Although it’s been out for a few years, it has certainly stood the test of time as one of the best car games you can play on your smartphone. You can race through cities, airports and even off-road! I particularly like the control layout as it is easy to use so you won’t have a problem drifting, pulling stunts and executing epic jumps. Compared to the other apps on my list, Extreme Car Driving Simulator doesn’t particularly stand out in the graphics department. Although the game has been continually updated to improve game performance, the graphics have not received a major upgrade recently, making it fall behind when compared with more recent car game releases. However, I have found the gameplay and tracks design to be outstanding and highly addicting, earning its place on my favorites list. My second pick is Asphalt 8. What I really like about it are the dozens of gravity-defying tracks, where you can break free from the asphalt and pull off thrilling stunts mid-air! I also find the graphics to be top-notch, as they are super-realistic and highly detailed. So far, I have loved every track, as you can race through unique locations like Venice, Iceland, the Nevada Desert and more. Another plus is that you can race in either a car or a bike by choosing from hundreds of models that you can customize exactly as you want. I did find that the game will try to tempt you with in-app purchases for the high-level vehicles. However, I have found that you can easily play through the game without spending any money, as you can earn in-game cash by winning races. The satisfaction of upgrading your car collection with hard-earned game-cash is enough to keep you addicted and always aiming for the next new car! My third and final pick is City Racing 3D. I have found it to be one of the best car racing games you can play with friends, as you can easily play together using Wi-Fi LAN connectivity. I particularly like the car selection and the fact that you can progressively upgrade your car components as you advance, to get the best performance out of your car! I also like that you can customize your car with a paint job and by adding a variety of fun stickers and decals. The track selection is also great as you can travel through the world by racing through Paris, London, Tokyo and more. The only drawback I’ve found is that even if you race perfectly, it can be hard to catch up with the leaders in the game. However, the multiplayer experience alone is more than worth it, as it is easy to pick up and play on-the-go with a track selection that will keep you and your friends entertained for hours. These are my top 3 car racing games for 2019 and I believe you’ll love them. Whether you prefer classic racing tracks, want to drive off-road, or want to race on physics-defying tracks, these games will have you covered. So, without further ado: start your engines, get set and… GO!